Lakeeren Hain To Rehne Do Lyrics from movie Kya Dilli Kya Lahore is nicely written by Gulzar. Its music is composed by Sandesh Shandilya while Papon has excellently sung it. 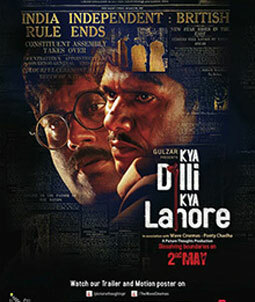 Kya Dilli Kya Lahore is a Social Drama film based on Indo-Pak relationship and this song "Lakeeren" describes it. Lakeerein hain to rehne do..
Lakeerein hain toh rehne do..
Aur tumhein wapas na jaane doon..